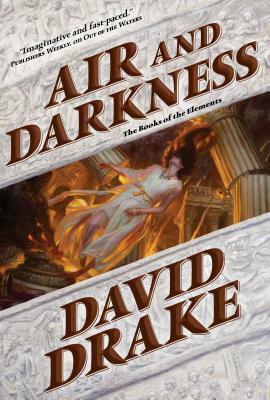 Air and Darkness, an intriguing and fantastic adventure, is both an independent novel and the gripping conclusion of the Books of the Elements, a four-volume set of fantasies set in Carce, an analog of ancient Rome by David Drake. Here the stakes are raised from the previous novels in an ultimate conflict between the forces of logic and reason and the forces of magic and the supernatural. During the extraordinary time in which this story is set, the supernatural is dominant. The story is an immensely complex journey of adventure through real and magical places.